Family Matters celebrated the graduation of three high school seniors in June 2017. Cindy Borski and Adrian Hernandez have tutored together since Adrian was in fourth grade. Over the most recent years, Cindy has supported Adrian through numerous academic and personal goals he’s set for himself and assisted him in his application process for various colleges and financial aid. One of their favorite tutoring pastimes this year was having lively discussions about politics and its relevance in their lives. 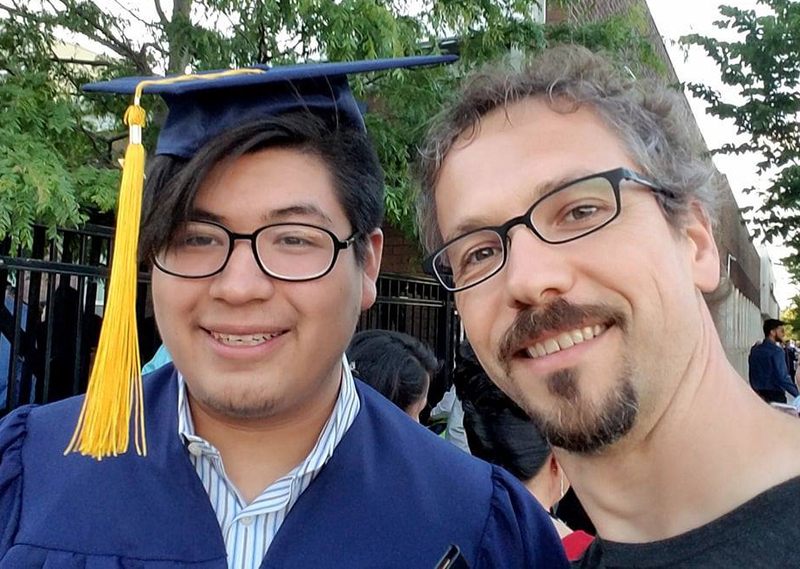 This spring, Adrian graduated from Mather High School’s Information Technology Academy and will be attending Oakton Community College in the fall to continue his education. Enrique and Jaime have worked with their tutors, Megan Fellman and Brad Schwarzhoff, for six years. Both young men plan to attend Northeastern University in the fall. Brad attended Jaime’s graduation ceremony in May, during which Jaime was asked to hand out roses to three people in the audience who played a role in his success. He chose Brad as one of those recipients. During the signing ceremony for a scholarship awarded to Jaime, Brad shared that he is going to continue his tutor-mentor relationship with Jaime, meeting with him at least once a week as he transitions into college next year. Jaime plans to study computer science, in large part because of Brad’s encouraging guidance when Jaime showed interest in the field. Enrique insists he could not have gotten into his high school without Megan’s guidance. 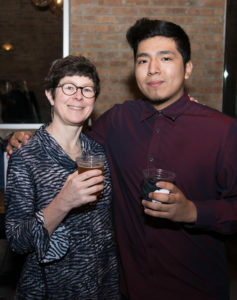 During his eighth grade year, she worked with him on his application essay to Lake View, which Enrique was attracted to in part because they had a strong STEM (Science, Technology, Engineering and Math) program and offered art classes. With Megan’s support, Enrique was accepted into his first choice high school. Four years later, she was by his side when he accepted his college scholarship. A positive relationship with a consistent adult can nurture a youth’s potential in powerful ways, and Adrian, Jaime and Enrique are powerful examples of that. We are so excited to see what their next chapters bring!